Do you ever sit in front of the computer and stare at Facebook because you don't know what to post? Perhaps you have been posting but it is the same content over and over again? Do you just need some new ideas of things to post on Facebook? 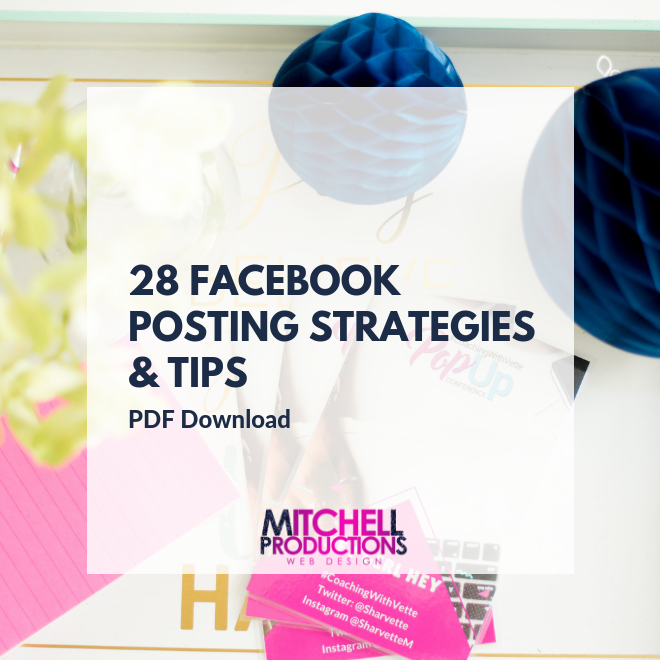 Grab this PDF with 28 ideas for things to post on Facebook. That is a month's worth of POSTS!